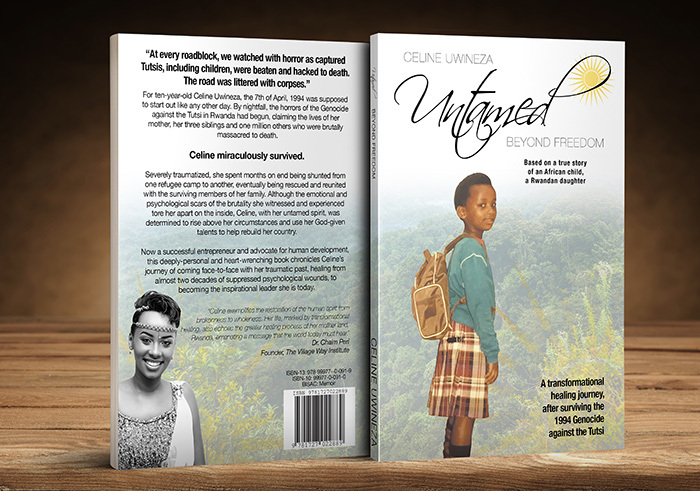 “There’s a quote by Sue Monk Kidd that says “Stories have to be told or they die, and when they die, we can’t remember who we are or why we’re here,” starts Celine Uwineza, a survivor of the 1994 Genocide against the Tutsi, when asked about the essence of her new and upcoming book, “Untamed”. 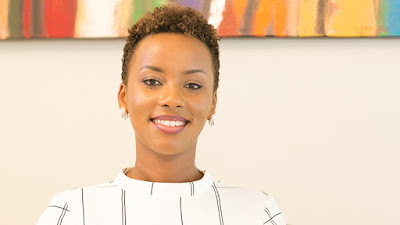 During the first week of the 25th commemoration of the 1994 Genocide against the Tutsi, the 35-year-old will be launching her book that chronicles her survival of the genocide, her healing journey from Post-Traumatic Stress Disorder (PTSD) and her path to entrepreneurship and hope for a bright future. It is also about raising awareness to the various mental and emotional health challenges people go through, and to show them there is light at the end of the tunnel. Untamed” is a tale about Uwineza’s life as a 10-year-old, who during the 1994 Genocide against the Tutsi, saw her mother being shot in the leg, and together with her family seek refuge in convent in Kicukiro. Her life took a drastic change three days later when she witnessed the Interahamwe kill her mother and her three siblings, while she narrowly survived death, later on she reunited with her brother and father. The book also shares her healing journey, decades later after the genocide, from PTSD. She describes her state of mind during the three months period of the genocide as traumatic, lost, confused and lonely. However, right after the genocide, she had to go back to school and together with her surviving family, had to start life afresh. Even amidst trauma they carried hope and never had the luxury to mourn their lost loved ones. Fast forward, she immediately got a job and rose up the ranks of her career in Human Resource, but with her life getting together, whenever she returned home, she would come to reality with her 10 year old self-the sad, and sorrowful that carried lots of questions. “As I grew up, the conflict of the woman today and the 10 year old at that time was always happening to me and I developed a lot of unhealthy patterns, when it came to my emotions and attitude towards life. There was the Celine who was a successful professional but there was also the 10-year-old who wanted to grieve and pose for a moment and say all these things that she wanted to say,” she shares. With the desire to do humanitarian work and help young people, she was excited when she got a job at Agohozo-Shalom Youth Village as director of Human Resource, but through taking care of the younger people, she unknowingly reached out to herself. At the age of 32, her 10 year old self eventually got a platform to live and be heard. However in the middle of the process, her father got very sick, and even though he recovered, his illness was the main contributor to her healing process. “A lot of grief that was undealt with burst out because I thought he was going to die and I couldn’t cope with that. It was a red flag because I had developed many symptoms of PTSD like losing sleep, crying for no reason, losing interest in my hobbies, and whenever I slept I had nightmares. A booming career and happily married, life was supposed to be enjoyable at that time. That was when it hit me and I was obliged to go and take care of the 10- year- old me. I however didn’t realise that until my auntie looked at me and said “My girl, it was about time you took care of yourself,” she narrates. It was then that her aunt took her to Neuro-psychiatric Hospital of Ndera for treatment. As part of her two- year therapy she began writing her story and everything she could remember. “The two years helped me to discover myself, to really cry and let go of my family. During my therapy class, I started to realize that most people need this. I started to think about my brother who was not in the country at the time, my aunts and friends. I discovered that it’s not only genocide survivors but everybody needs to be aware of this mental health issue. It came to me more as a calling to write this book,” she says. She immediately took a counselling class and learnt about the triggers and how one can help themselves. As she began to share her story on healing with different people, she received very many messages of encouragement, another inspiration to continue to write and reach the wider audience. She has written her book in English because she wants to contribute to create awareness about mental health for people even outside Rwanda. She however is translating the book in Kinyarwanda and will be released in July. The English version will also be available in print and as an e-book on Amazon stores worldwide. “The trauma and the efforts to forget what happened in the past, had begun to erase all the good memories of my family. I discovered, during my therapy session, that soon I would have children and they would ask about their grandma and aunts and so my goal is that they don’t have an identity crisis. By narrating and recording our memories with my family, I will not only be able to recall but will also share with my descendants and encourage other families to do the same. I always fought with the fear of putting my life out there but I always encouraged myself that the memoir will help someone else. Also, if I don’t write now, the children of my children will be challenged by genocide denial because there will not be enough information kept. So this is also the aim of my book,” she says. Uwineza is also partnering with a group of Rwandans to build a wellness center that will focus on creating awareness on mental health and serve as a holistic rehab center for the community.